Rapper, producer, designer and entrepreneur Swizz Beatz has added another job to his resume: visual artist. 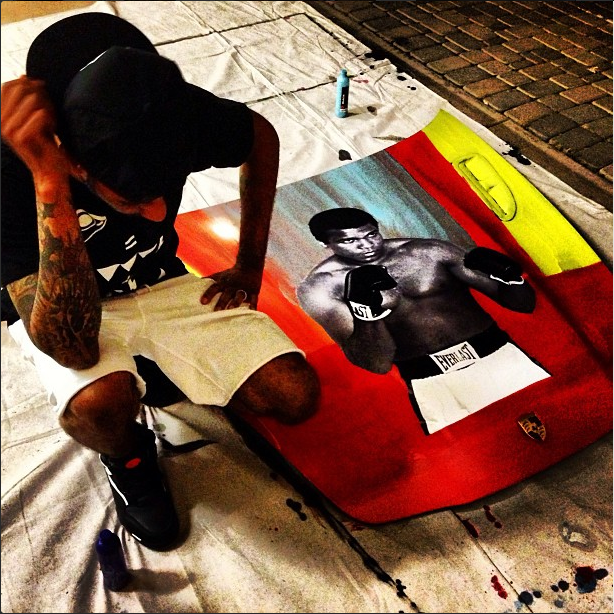 The Bronx native auctioned off his first original art piece — a cool portrait of Muhammad Ali painted on a vintage Porsche hood — at a benefit for Smile Design Gallery on Tuesday night. The piece sold for $24,000 and will be donated to charity.